Heated pool and renovated sanitary! We are proud to announce that we have also won a star! 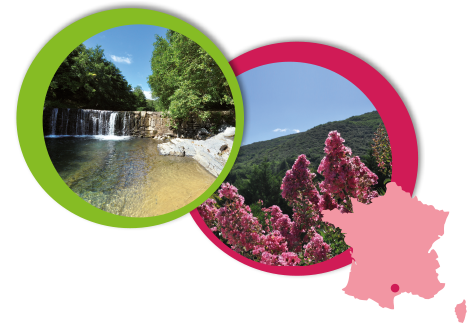 A heated swimming pool with paddling pool for young children, the spa, a sandy beach on the banks of the Jaur just a few steps from your accommodation. 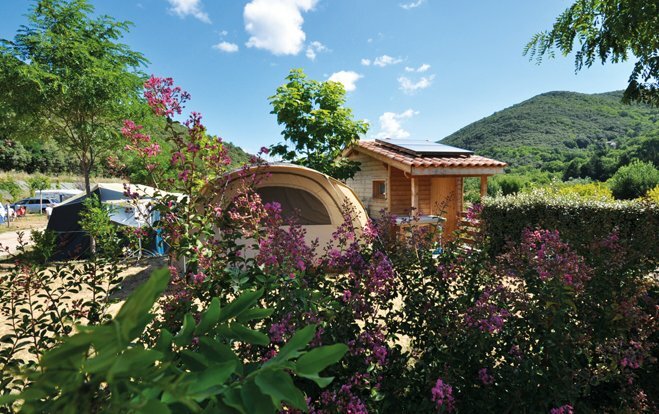 All this in a soothing setting in the heart of the Natural Park of Haut Languedoc. 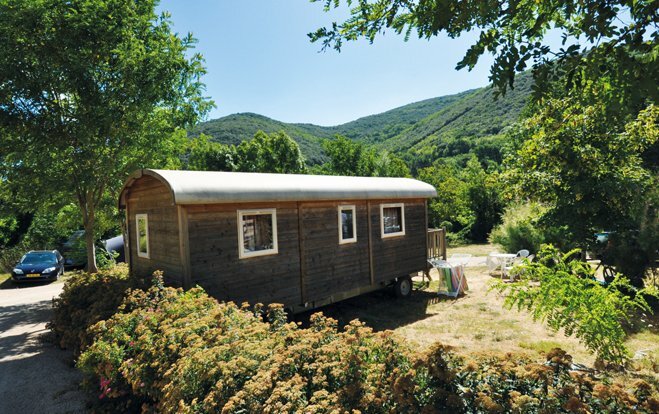 Located in the heart of the Haut Languedoc Regional Park, enjoy the peace and quiet in our warm Mediterranean climate. 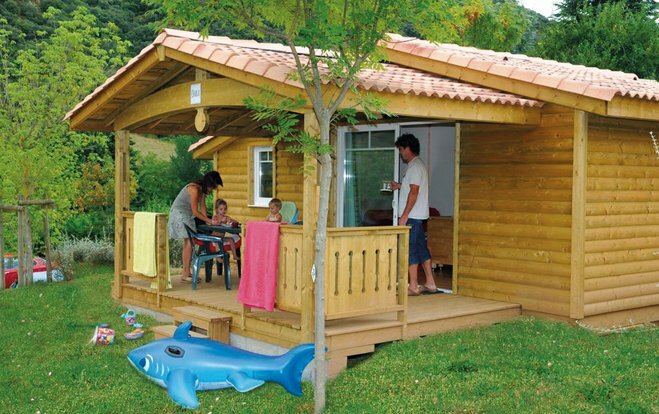 The campsite’s swimming pool, the river and its beach beside a natural waterfall, the marked “Voie Verte” Green Lane cycling paths and walkways, various outdoor activities and most importantly our convivial family atmosphere. Everything is in place to pass an unforgettable holiday! The "Jaur" river gently flows alongside the campsite. A Category One river,where fishing is allowed. y est autorisée (rivière catégorie 1). It’s also a place where children play at building barrages with the river rocks. It’s good to rest next to the waterfall on the fine sandy beach. Enjoy swimming in this unspoilt beauty spot. With a paddling pool for babies and toddlers, a metre deep pool to play in whilst staying in your depth, the Balneo bath for relaxation and another part of the pool for swimmers, something to suit everyone. The swimming pool is heated from April till September. The sun loungers are waiting! Rich in contrasts with such a lot of diverse sites, scenery and climates to discover: Le Caroux, a popular destination for all climbers and also the Montagne Noir Mountain, the Minervois, the Gorges d’Heric, the Fileuse de Verre Grotto… Bike ride safely along the “Voie Verte” Green Lane which will bring you to Mazamet or Bedarieux, passing through Olargues… Trekking, mountain-biking, speleology, canyoning, via ferrata, acrobranche... You’ll be spoilt for choice! The Snack provides your morning bread and pastries. Let the mouthwatering smell of crepes or the refreshment promise of an ice-cream guide you there. It’s a real central hub, a place to meet, especially in the evenings, where The Snack proposes a sit-in or take-away food service. There are also concerts and St Chinian and Minervois wine-tasting events, plus paella and karaoke. During the season, evening events are alternated between more relaxed or lively themes. ACCOMODATION: The choice is yours ! For campers, large pitches are available, each with an individual water point, electricity hook-up (optional) and a waste water point. Sanitary facilities are recently refurbished and communal. For campers who would like a higher comfort level, pitches with a private sanitary unit are an ideal option: shower, washbasin, toilet, kitchen sink. All are provided on your own pitch. What comfort! You will surely appreciate our recent and comfortable accommodation choice of 1, 2 or 3 bedrooms, rentable per night or per week. Our accommodations are isolated throughout and thanks to the cool night temperatures, there’s no need for air conditioning.